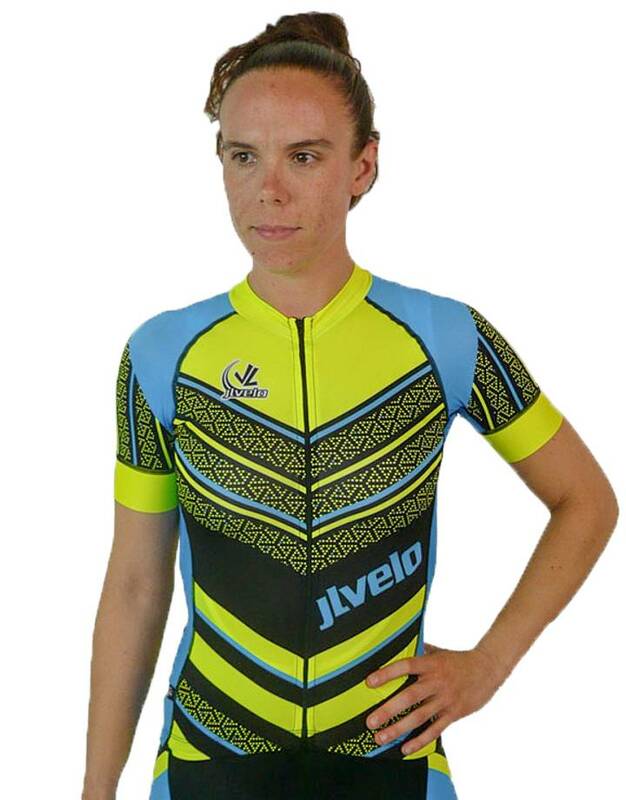 Looking for the perfect jersey? THIS is the perfect jersey! Our women's SDP Jersey is made from lightest weight, breathable, 4-way stretch, 50 UPF Asteria fabric. 1. Mesh side & underarm panels made of MicroX-Fine. 2. Ringer made of our subtle stretch Prime (prem) Band. Comfortable silicone pixels keep sleeves in place without binding. Sleeve length is shorter than men's. 3. Flatlock Stitching provides contrast design element & bombproof seams. 4. HighBeam reflective strip with embedded glass crystals--fully printable & shockingly visible. Snug fit, cut for a women's shape. Movement-inspired engineering, custom lengths are available.